As I was lost in the black hole of Instagram, I came across what has to be either a damn good hoax or without a doubt the luckiest 11 year old boy on the face of the planet. 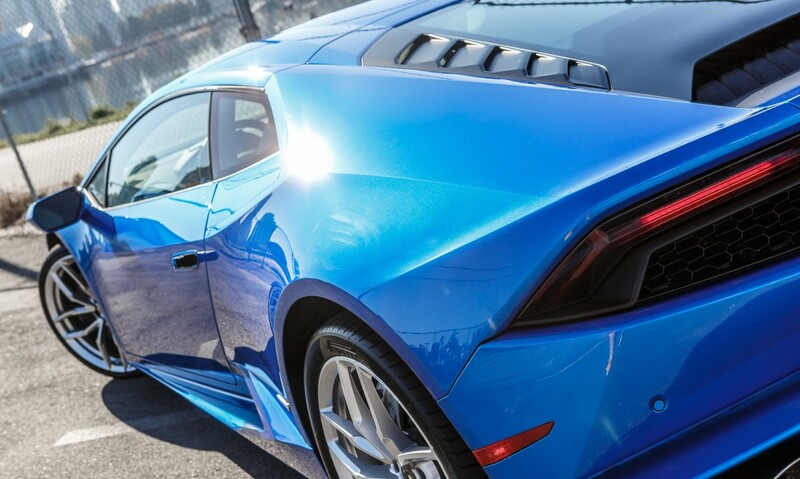 Putting an 11 year old behind the wheel of a 610hp Lamborghini Huracan might sound like a ridiculous idea, but that isn’t the case here, this kid is actually running a drag race! So it’s a terrible idea. He’s racing against a slightly tuned C7 Corvette too so it’s not like he is running a solo pass. Now granted, when you really think about it, if there was going to be a supercar that an 11 year old could drive, it would definitely be the Lamborghini. Put the transmission in auto mode, push the gas and go right? The all-wheel drive system derived from Audi is definitely going to hook up and send the car straight, as long as the kid knows the difference between the gas pedal and the brake pedal. Wrong, Lambos are often quite ferocious vehicles to drive. As ridiculous as it may seem at first, if you think about it most kids born into gearhead families start riding motorcycles or four wheelers at a young age and they understand the premise of stop and go. If they are lucky enough, you even learn how to change gears using a clutch. Now again, assuming this wasn’t some elaborate hoax, it seems as if the kid’s dad was riding shotgun and it obviously wasn’t the first time the kid’s been behind the wheel. I’d be willing to bet he’s done quite a few passes in the car. You wait and see, ten years from now that kid is gonna be a professional driver and then this won’t seem so ridiculous. Tell us what you think, is this madness or brilliance? Let us know in the comments below. Special thanks to Corsa Performance for posting the video.